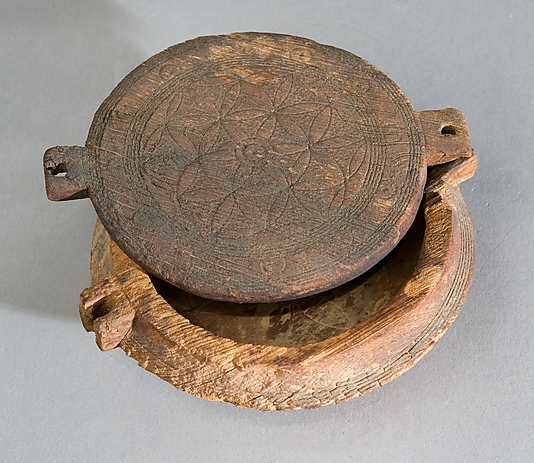 which shows a wooden box dating 1500BC and having a second degree Flower of Life symbol on the lid. Beaker from Marlik, Iran is not much younger (1400-1100BC). These are few questions that should be handled on the answer: how did such a symbol develop, what kind of tools they needed to construct this on metal and wood work, what was the basic ideology, maybe religious meaning behind the motif, mathematic understading it requires to construct the symbol and did they have a name for it? Here is a collection of the images presenting the symbol or some simpler forms of it. I hope this introduction will give enough background for the topic and show the level of comprehension I hope for the answer. I am going to answer these questions as best I can. It is actually too broad of a question to fully answer in an amount of time I have to spare for it. Since it is a symbol that spans multiple ages of humanity. Though since the original poster was seeking a starting point for further information, I am of the belief that this will provide that starting point and possibly serve as a starting point of others that are curious. Question with as much potential depth as these are not ideally suited for this type of forum. But I will share what I know. how did such a symbol develop? This question would require a rather in depth look into history and various cultures of the time period. With a bit of understanding of the human mind, some one probably was bored and started drawing a lot of circles and realized it formed an interesting pattern, then refined it. Which pretty much sums up most repeated geometric shapes. There does not have to be a profound answer for everything. what kind of tools they needed to construct this on metal and wood work? Very little, modern tools remove the need for apprentices and decrease production time. If one has the time and inclination one could etch the pattern out with a primitive compass, a bit of string with a sharp end. In theory this could a be something as simple as an animal claw and a bit of vine. The pattern could then be etched into the surface with a rock. Assuming the culture is capable of producing metal, it could then be etched in or hammered in a huge variance of techniques. This would vary depending on culture, technology levels and desires of the artist. what was the basic ideology? That is another hard question, it has been taken to have a wide variety of meanings, from a symbolic representation of a forming zygote, it has concepts in alchemist practices. Since it is a basic geometric shape, the connotation of the design would of had different meanings for different cultures. Since there is not anything close to a scientific consensus for an Ice Age advanced civilization, much of the new age material connected to its meaning is not historically relevant. Some assumptions of the ancient meaning were a symbol of power. Really as far as I understand no one really knows. Which means a lot of people have speculated to fill in the blanks. Religious meaning behind the motif? It is debatable if there is a real answer to this concept in ancient times. In modern light is has gathered a lot of different meanings. This will vary from culture to culture and religion to religion. In a variety of time frames it has different meanings. 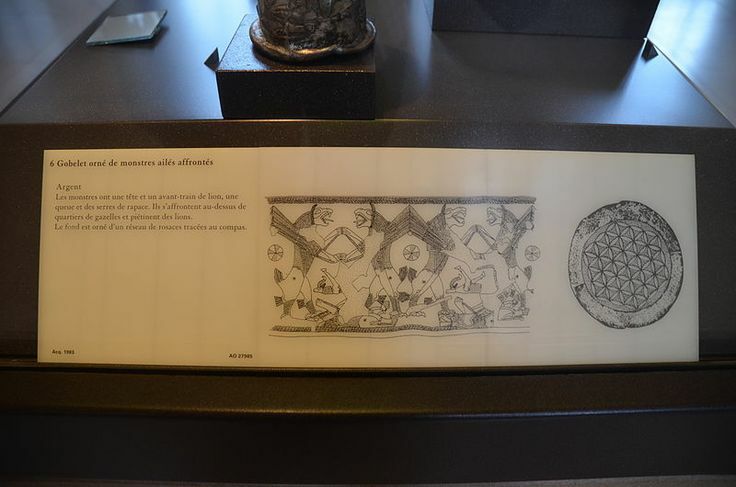 Leonardo Da Vinci had sketches of it and its connection to alchemy. Some modern day new age beliefs connect it to enlightenment. I am sure various mathematicians through out the ages have connected it to various meanings. 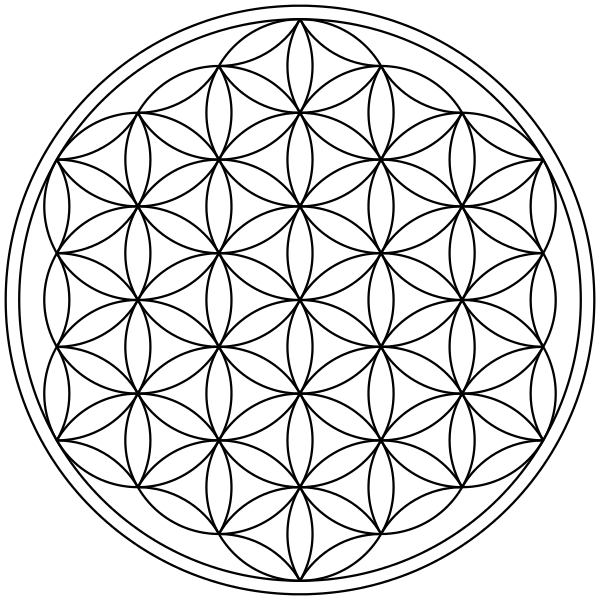 Since the concept of sacred geometry is an old one. It has been connected to symbolically represent the seven days of the Christian creation story. Some people believe it is a symbolic connection to the unity that all human beings have. My interpretation of this is that the meaning has been connected to the symbol as the culture sees fit and an overarching meaning is not present. The interpretation varying depending on culture. Mathematics understanding it requires to construct the symbol? Enough mathematical knowledge to draw a circle. Which is not that much. A circle is a rather simple pattern, one that adds function of complexity with mathematical knowledge, but does not require mathematical knowledge to produce. Like most sacred geometry it is a repeated pattern done a lot of times that produces an interesting result. In this case is is 19 circles and 36 partial circles. It can be in theory taught to be produced to a child with no real understanding of mathematics. Just the principled of patterns and some basic tools. So I would go with minimal understanding of geometry, even on an instinctive level as the mathematics prerequisite. Did they have a name for it? I cannot answer this question as it would require a level of ancient history that I do not possess. I will make the assumption that there were a variety of names for the symbol in various cultures that produced it and that the names were different in those cultures. As the possibility of the object being named the same thing in each of these disconnected cultures would be highly improbable. Not the answer you're looking for? Browse other questions tagged ancient-egypt iran art or ask your own question. What is the most correct transcription of Ramesses II name? What were Egyptian rulers called before the honorific title “Pharaoh”?